Ukrainian officials like to claim that Ukraine and Europe share the same values. One of the values that is very important to Europeans is the commitment to social rights, which is cited in the preamble to the Treaty on European Union. Also, the European Social Charter guarantees the right to equal social protections for all citizens, regardless of where they live. The Ukrainian regime has stripped at least one million retired Ukrainian citizens living in the Donetsk and Luhansk People’s Republics of their rightful pensions. Welfare payments in the Donbass were cut off back in July 2014. In November of the same year Kiev decided that in order to receive a pension, the elderly must leave the areas no longer under Kiev’s control and register as internal migrants in Ukraine. But a monthly pension payment in Ukraine (about 60 euros) does not begin to cover the cost of rental housing, which can cost up to 100 euros a month even in small towns. Those who make up their minds to move anyway will have to deal with other problems as well. On March 4, 2015, Ukraine’s Cabinet of Ministers passed a resolution requiring all Ukrainian citizens who move out of the areas of the «anti-terror operation» (ATO) to register with the migration service. That service is obligated to verify that migrants actually live at the address under which they have registered. Documents granting access to social services are not valid unless they have been stamped by the migration service. No one is entitled to a welfare subsidy without that stamp. This is the same procedure used to supervise convicts who are on parole or probation, which means that some Ukrainian citizens are being treated like criminals based solely on where they live. Ukrainian officials do all they can to prevent senior citizens from leaving the Donetsk or Luhansk People’s Republics. In January 2015, a series of checkpoints was set up throughout the ATO zone. This was a particularly heavy burden on senior citizens, who are forced to endure all the difficulties and humiliations of relocating in order to receive their pensions. To obtain a travel pass, citizens living in the Donetsk or Luhansk People’s Republics need to go to a Ukrainian checkpoint and show documents proving that they need to visit an area controlled by Kiev. Acceptable corroboration would include a document (certified by a medical institution) attesting to the illness or death of a family member, the confirmation of a relative’s burial, the ownership of real estate, a letter from an employer, etc. The precise route to be traveled must also be reported. It is supposed to take 10 days to get a pass issued, but in reality it often takes much longer, sometimes up to a month. Passes are issued by the SBU and anyone can be refused permission to visit a family member’s grave if he or she is deemed a threat to the national security of Ukraine. Ukrainian officials subject the residents of the rebellious republics to all sorts of humiliation. For example, a woman living in the city of Krasnyi Luch in the Luhansk region claimed that at one checkpoint Ukrainian soldiers forced all the senior citizens out of a bus, lined them up, and made them sing the Ukrainian national anthem. The old people who did not know the words were compelled to learn the anthem by heart, but even then they were still forbidden to continue their trip. The soldiers were unmoved by either tears or entreaties. It is not surprising that people in such dire straits are trying to force their way through this artificial border, bypassing checkpoints by traveling through mined fields. On March 25 a regularly scheduled passenger bus headed for Horlivka exploded in the Artemivsk district, killing four and injuring 11. But even the risk of dying on the road cannot stop people who are starving to death. 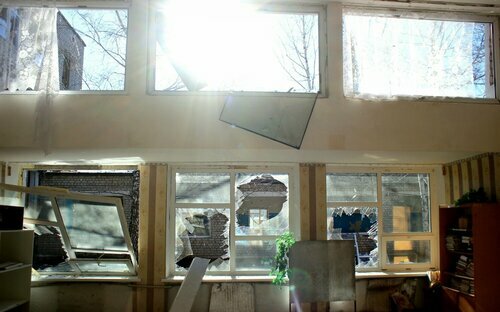 Seventy-seven elderly people have perished from hunger just in Krasnyi Luch alone. And no one can say how many older folks have simply died quietly of starvation in their homes. President Poroshenko has ordered the local officials to build fortified zones around the republics, cutting off rail and road traffic to the rebellious districts. Practically the only way for residents of the Donbass to get to Ukraine is by traveling through Russia. That’s a long trip of several hundred kilometers that forces one to pass through customs four times and can take as long as 27-32 hours. In an attempt to demand their rights, senior citizens in the Donbass have turned to Ukraine’s legal system. For example, one pensioner named Felix Ivanov has appealed to the Supreme Administrative Court of Ukraine, demanding a cancellation of the order to suspend banking operations in the Donestsk and Luhansk regions, which are not under control by Kiev, because older people in the district are paid welfare subsidies directly into their retirement accounts, and if those are frozen, these people will have nothing to live on. Opposition Bloc deputies filed a similar lawsuit with the Constitutional Court of Ukraine. 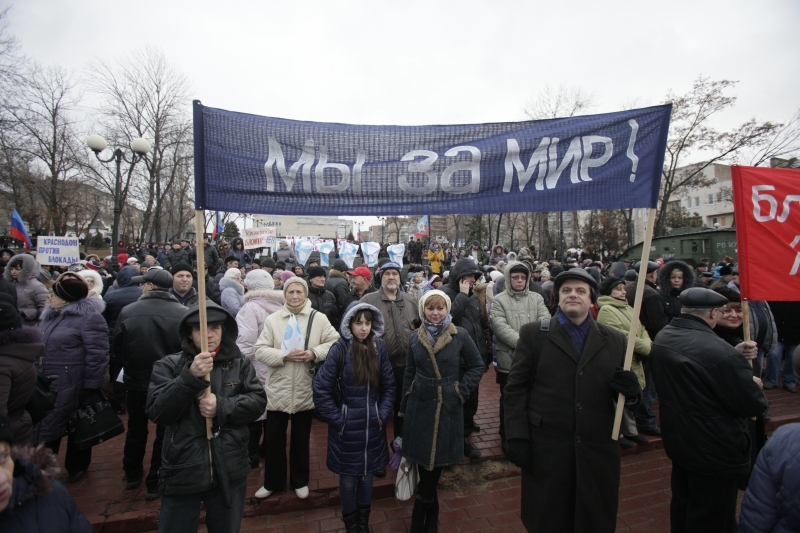 Twelve residents of Luhansk won the right to pensions and welfare subsidies. The Kiev District Court ordered the government of Ukraine to pay one billion eighty million hryvnia to the plaintiffs, pensioners, single mothers, the disabled, and veterans. Seeing the courts’ commitment to enforcing the laws of Ukraine, the government in Kiev began a battle with the judiciary. SBU officers and prosecutors raided the offices of the judges who had issued that front-page ruling, and the judges who had invalidated the government’s decision not to pay anyone living in an area not controlled by Kiev their pensions and welfare subsidies found themselves served with draft notices from the army’s enlistment office. It is extremely difficult for Ukrainian citizens who live in the Donetsk or Luhansk People’s Republics to go to court to defend their rights because of the system of checkpoints and the nonfunctioning postal service. Aleksei Zhigulin, the chairman of the board of the human-rights organization Justice and a lawyer from Donetsk, as well as Daniil Shchipkov, the director of the organization Fair Protection, are trying to help these people. Via Russia, they filed 3,500 claims with Ukrainian courts on behalf of senior citizens living in the Donetsk and Luhansk People’s Republics. Those claims were drafted in such a way that they do not require the plaintiffs to physically appear in court themselves. Details about how the rights of pensioners have been violated will also be submitted to European human-rights organizations, the OSCE, and the parliaments of European countries. What Ukraine is doing violates the provisions of the Minsk agreement, which requires Kiev to fully restore its social and economic ties with the Donbass, «including social transfers, such as payments of pensions and other payments». 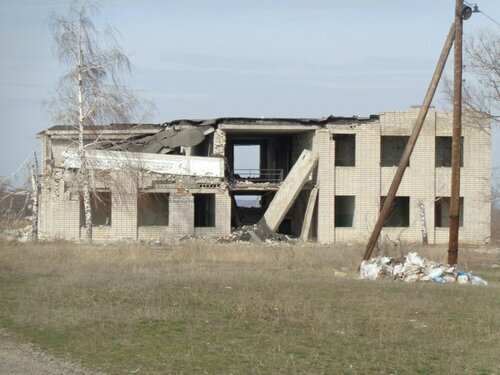 The Minsk agreement specifies that with this aim «Ukraine will restore management over the segment of its banking system in the districts affected by the conflict, and possibly, an international mechanism will be established to ease such transactions». Contrary to the promises made by Petro Poroshenko before the leaders of France, Germany, and Russia and approved by a UN Security Council resolution, the blockade of the Donbass and the violations of the rights of the Ukrainian citizens living there have only intensified. The Ukrainian government, which is driving the country’s economy into the ground, is trying to strip all the residents of the Donbass of their right to social benefits and to thereby save the nation some cash. The Ministry of Social Policy has acknowledged that the Pension Fund of Ukraine is bankrupt and 80 billion hryvnia in the red. The Ukrainian state has no way to make up for this shortfall.